How Much Quercetin Do You Take for an Anti-inflammatory Response? 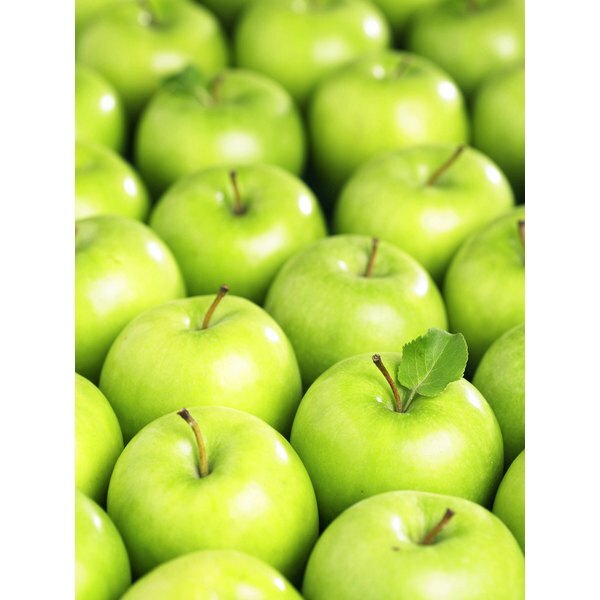 Quercetin is a compound found naturally in many fresh fruits and vegetables and also in dietary supplements. Quercetin has been used in Chinese folk medicine for centuries to treat type 2 diabetes, a fact that is leading contemporary researchers to study its effects in preventing metabolic syndrome and obesity. Quercetin is included in a group of plant pigments known as flavonoids that are powerful antioxidants, substances that target harmful particles in your body called free radicals, according to the University of Maryland Health Center. Quercetin is found in high concentrations in apples, onions, citrus fruits, parsley, tea and red wine, and in moderately high levels in olive oil, grapes, dark cherries, dark berries such as blueberries, blackberries, and bilberries, and in other fruits and vegetables. According to the Life Extension Foundation, studies by I. Belinha et al, published in 2007 in the “Journal of Agricultural Food Chemistry,” and by J.L. Barger et al, published in 2008 in “Experimental Gerontology,” showed that quercetin may promote longevity by imitating the effects of caloric restriction, but it may also prove effective in treating other conditions such as cardiovascular disease, cancer and metabolic syndrome. Quercetin’s potential led nutrition expert Professor Stephan C. Bischoff at Hohenheim University in Germany to report in 2008, in the journal “Clinical Nutrition & Metabolic Care,” that quercetin is a promising compound for disease prevention and therapy, especially for preventing obesity-related diseases. Quercetin supplements are available as pills or capsules and are often packaged together with another anti-inflammatory, bromelain. There are also water-soluble forms of quercetin available, including hesperidn-methyl-chalcone or quercetin-chalcone. The University of Maryland Health Center, UMMC, cautions that there isn’t enough evidence yet to recommend quercetin supplements for children. For adults, the UMMC recommends you take 100 mg to 250 mg three times per day, not to exceed 1 g per day without consulting first with your health practitioner. A study in Japan and Boston, Massachusetts, by Soichiro Enomoto et al and published in “Circulation” in 2008 investigated whether quercetin glycoside could prevent diet-induced obesity in mice. It found that quercetin suppressed the increase of body weight induced by a high-sucrose diet, as well as decreased levels of leptin, a compound in your body that is linked to obesity. Research by Pablo Strobel and colleagues in Chile and published in “Biochemistry Journal” in March 2005 discovered that quercetin blocks the uptake of glucose from blood, depriving fat cells of the material needed to manufacture and accumulate fat molecules. In 2008, scientists at the University of Georgia in Athens, Georgia, found that a combination of quercetin and resveratrol, another flavonoid found in grapes, decreased lipid accumulation in cultured fat cells by close to 70 percent and increased fat cell death by more than 300 percent. The University of Maryland Health Center cautions that if you are a woman who is pregnant or breastfeeding, you should avoid quercetin. High doses of quercetin greater than 1 g per day have been reported to cause damage to the kidneys, and in general, quercertin is not recommended if you already have kidney disease. Quercetin may also enhance the effects of blood thinners such as Coumadin, Plavix or aspirin, and certain types of chemotherapy medications. Check with your doctor before taking quercetin if you are taking any medications or receiving chemotherapy treatment.